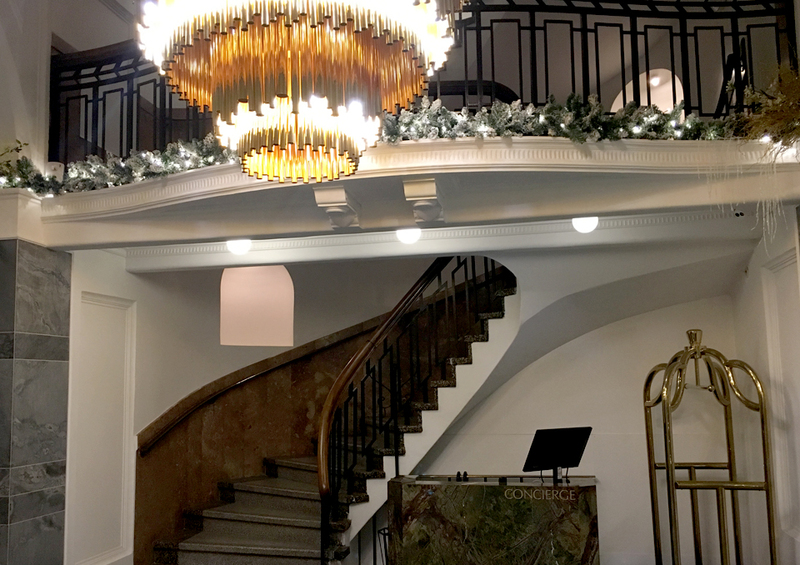 A hidden jewel to some, Hotel Grand Windsor is a masterpiece in it’s own right. 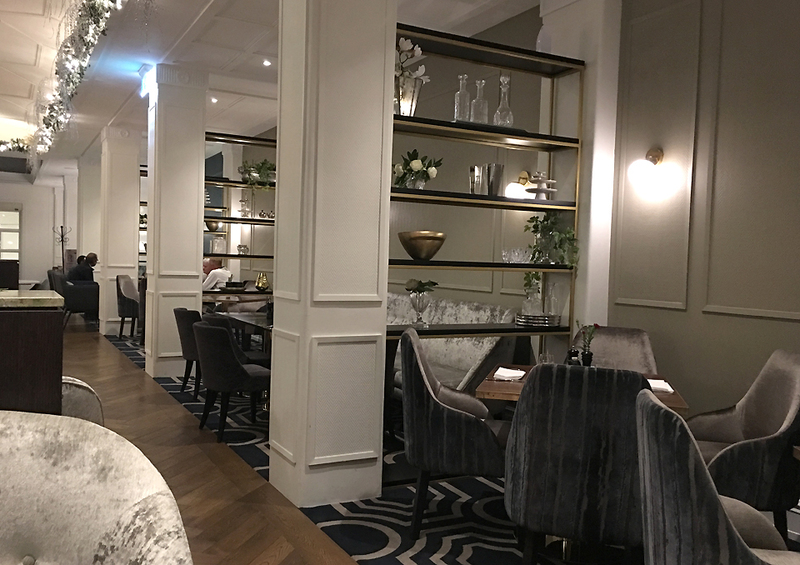 Superbly situated within the shopping, dining and entertainment precinct, Hotel Grand Windsor tastefully combines the charm of a bygone era with elegance and opulence of modern day living. First built in 1928 as The Windsor House by W.R Cooke & Son Ltd, it was Auckland’s first skyscraper. It was then a popular tearoom and a grill restaurant under the Cooke’s which served freshly baked bread and famous Rangitoto sundaes. 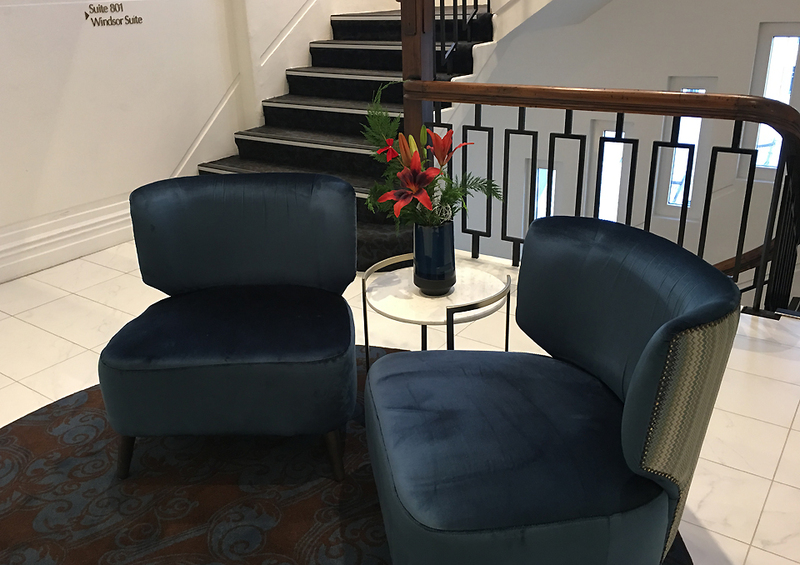 Located at Auckland’s shopping precinct of Queen Street, Hotel grand Windsor is a perfect start to your business in Auckland. 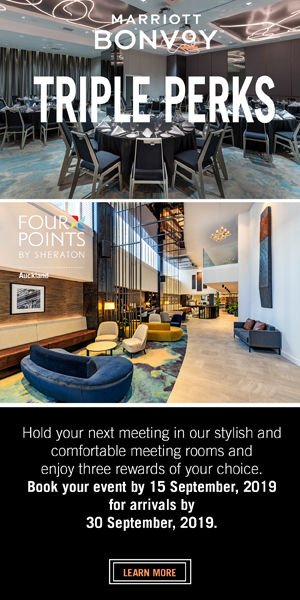 A walking distance from the Britomart transport hub and Viaduct Harbour, the hotel is right in the middle of all the action in Auckland. A taxi ride from Auckland airport costs approx $65.00-$80.00 depending on the time of the day. An Uber ride would cost between $40 to $50. The hotel can also arrange transfers to and from Auckland airport. Entrance to the hotel is off the main street and through a short corridor. You’re however met by the courteous concierge team at the off-street parking who’re quick to assist with the vehicle and take care of the baggage as you walk through the corridor to the main entrance of the hotel. 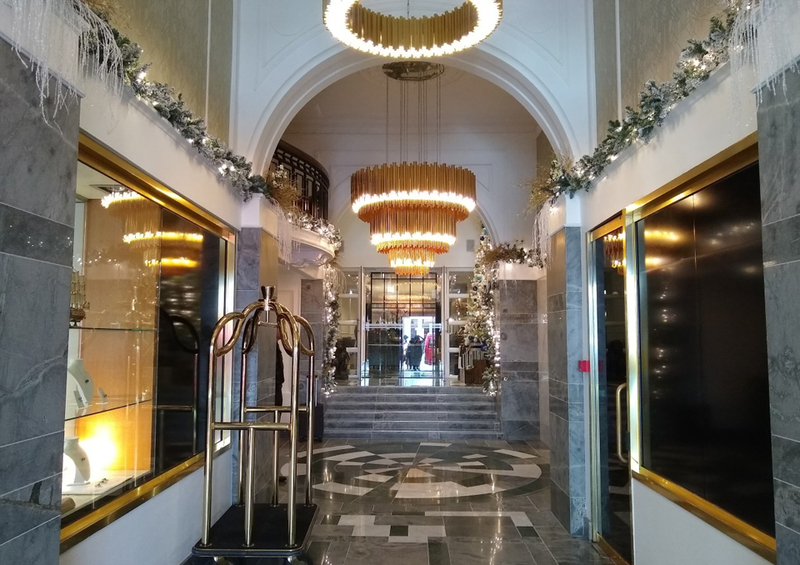 On arrival into the hotel, you’re welcomed by a delightful array of a well appointed lobby tastefully adorned by luxurious velvet clad couches, marble tables with crystalware and potted soft-toned cymbidium orchids in perfect harmony with the hotel’s grey and golden colour theme. 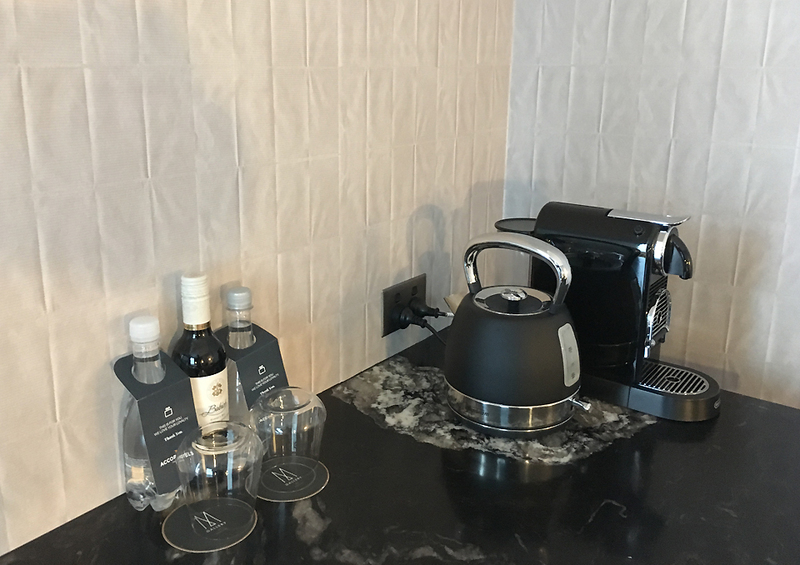 Pleasant front office staff address you personally as you’re offered a welcome drink as you go through the check-in formalities. The lobby is a perfect spot to relax and rewind over a coffee or a Pinot. 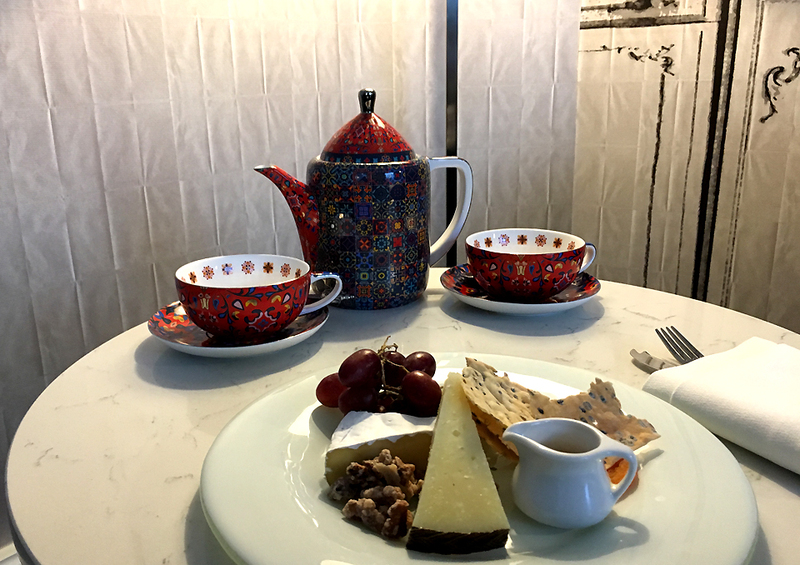 A delightful high-tea is also served at the Cooke’s restaurant with a selection savouries, sandwiches and sweet treats with an array of speciality teas. The lobby also features a bar to rewind after a hard day’s work. Hotel Grand Windsor has 79 rooms and suites befitting a boutique 5-star hotel. Room categories are Classic King, Superior Queen, Superior King, Luxury Room, Junior Suite and the Duchess Suite. I was staying in the Luxury Room. 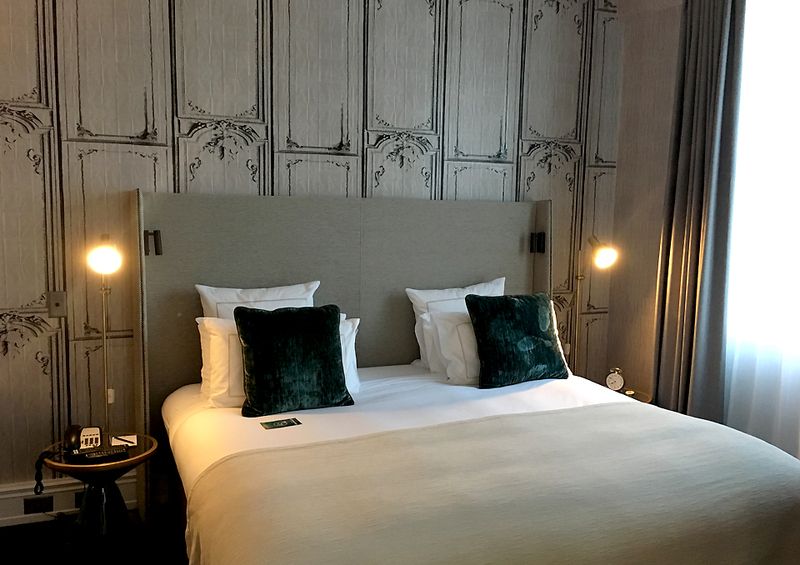 Freshly refurbished and tastefully appointed with an inspiration of the Art Deco style of the 1900’s, Luxury Room was a great choice. 31 sqm in size the design is well though of and accommodates a spacious seating area with comfortable chairs. 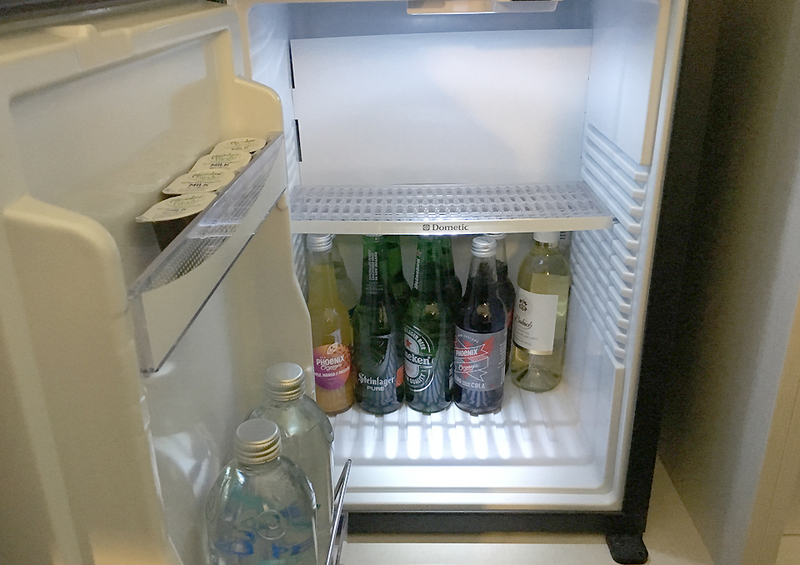 A well stocked up mini-bar with international and New Zealand beverages is ready at your disposal. 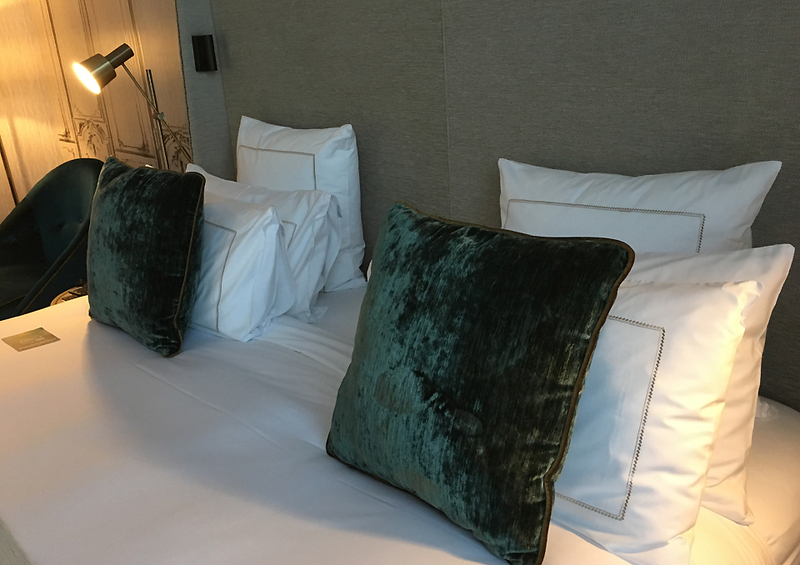 The very plush and ‘California King Sofitel My Bed’ is super comfortable and the crisp cotton linen is as inviting as it can get after a long day’s work. The beds are turned down every evening with a personal touch. 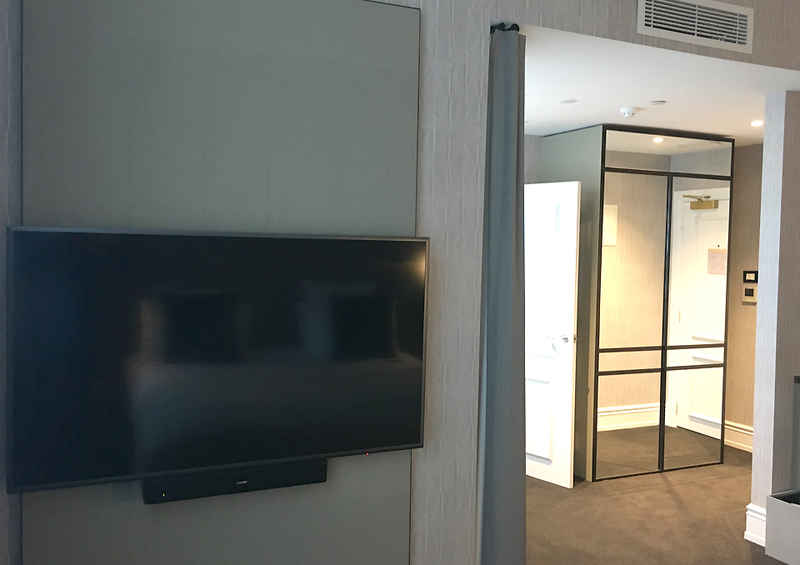 The room has a 55 inch SMART television which is powered by a Bose bluetooth speaker to enrich the room entertainment experience. The room has all the amenities that you’d expect of a 5-star luxury hotel. 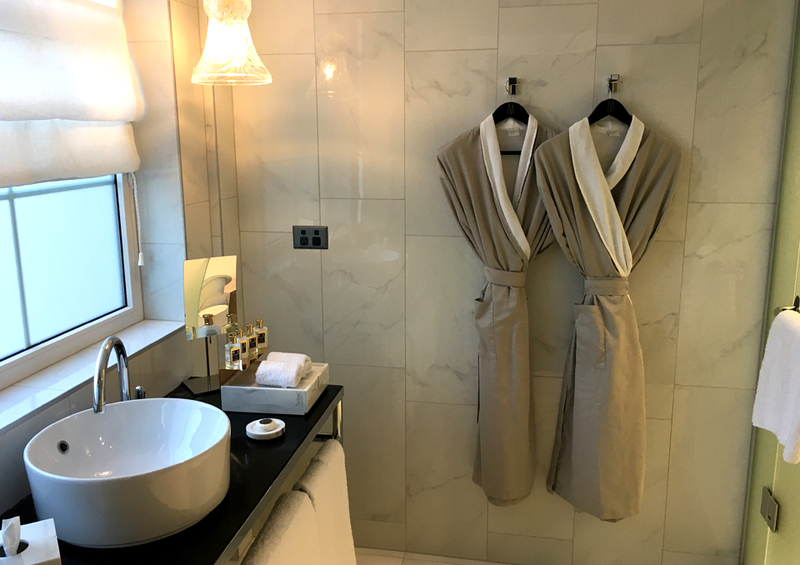 Soft and luxurious bathrobes are very inviting to slip into. 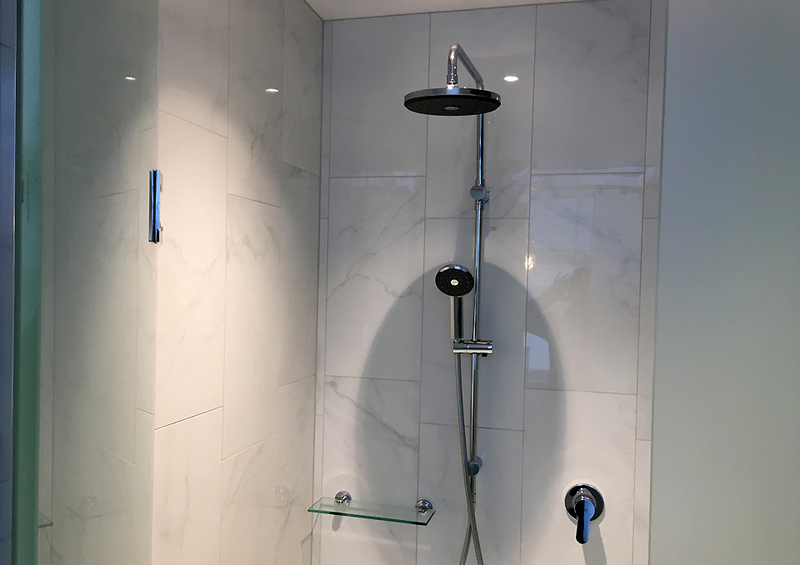 The shower is well-lit and with luxurious marble tiling. 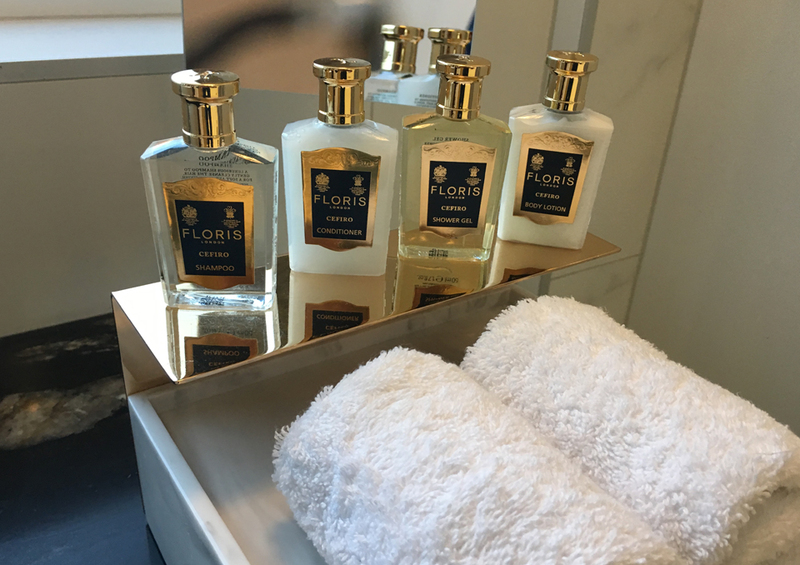 Floris London are UK’s most prominent perfumers and the only perfumer appointed to her Majesty the Queen. Towels are well soaking and soft. 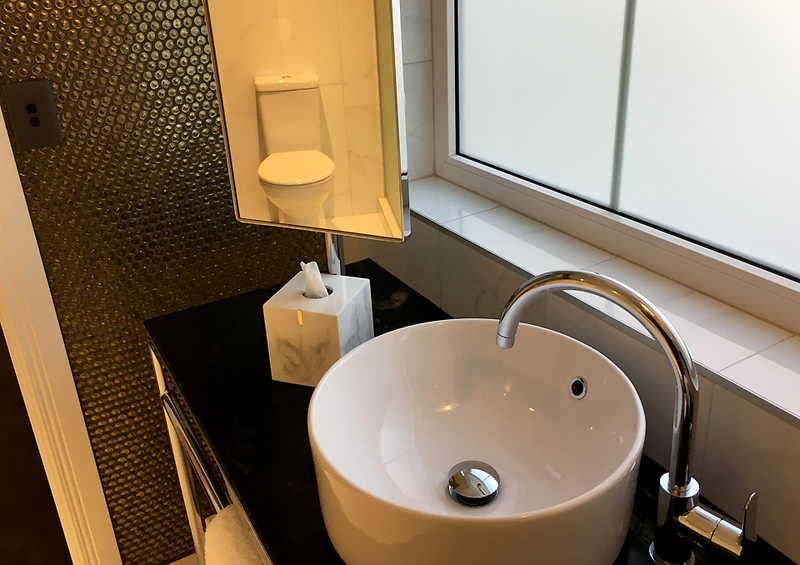 A large wash basin gives a spacious feel to the bathroom. The Luxury Room doesn’t comprise of a work desk and chair for a more formal working setting but the sitting area in the room had a table that can be used for working. 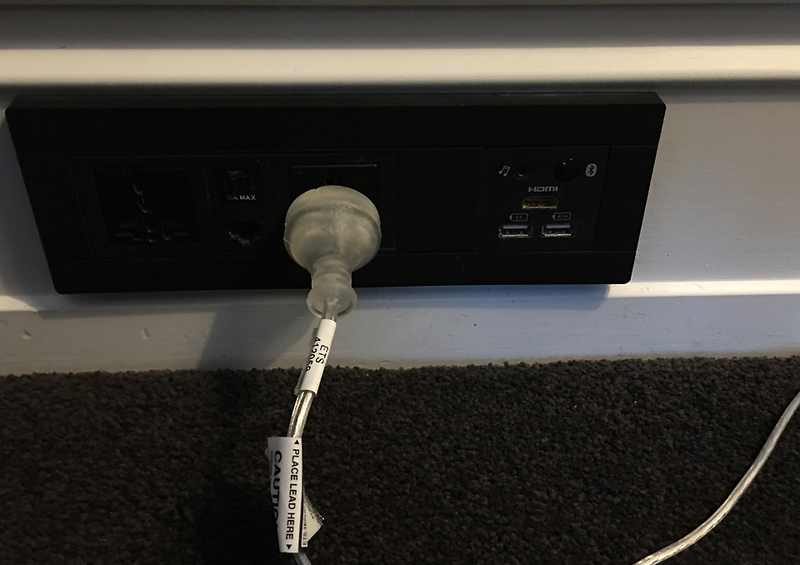 High speed USB and HDMI ports are available to rapidly charge devices too. 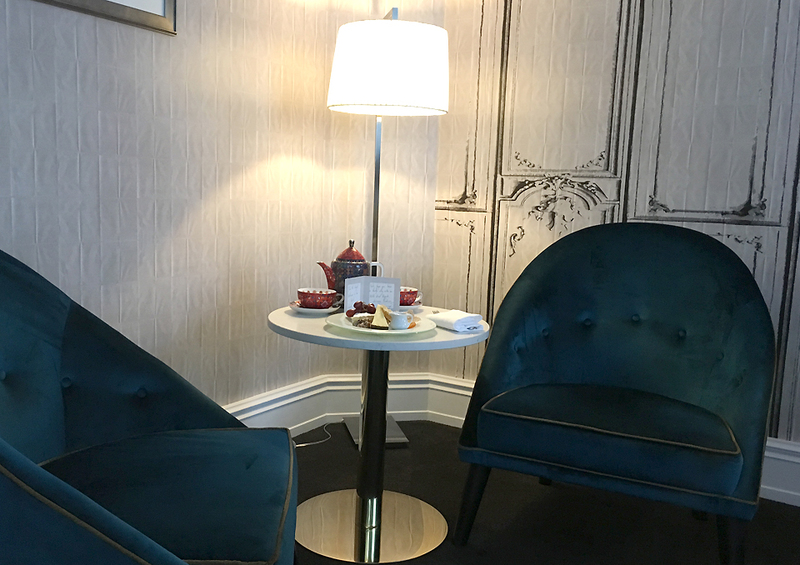 For a bit more social working atmosphere, the lobby is a perfect place to sit work away with a coffee while enjoying the subtle vibrancy of the hotel. Complimentary WiFi is offered in-room and in the lobby. The in-room menu suggests a great array of dishes to suit every palate and appetite. The main restaurant of the hotel is Cooke’s and it takes it’s name from the original Windsor House. 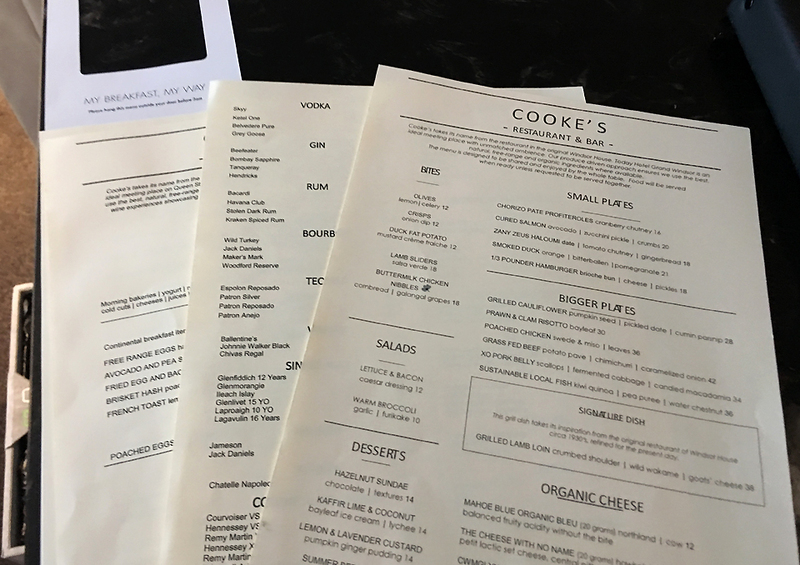 Cooke’s pride itself in creating dishes that are seasonal and with local produce with a focus on organic produce. The menu is limited and is designed a small / bigger places and has some favourites like cured Salmon, roast duck. I tried the smoked duck, bitter orange and pomegranate which was delighful. The duck was perfectly smoked and so tender and was matched perfectly with bitter orange and pomegranate. 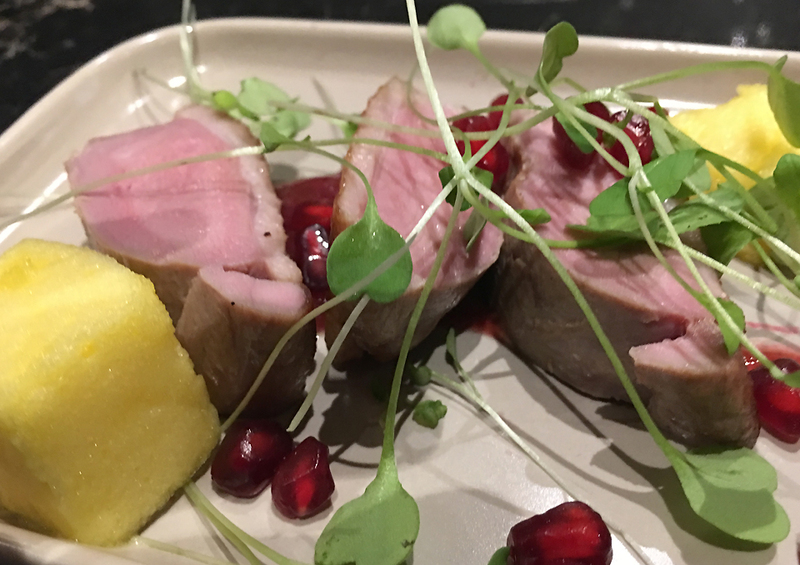 The subtle burst of sweet and sourness from the pomegranate was sensational with the well seasoned duck for a great meal. 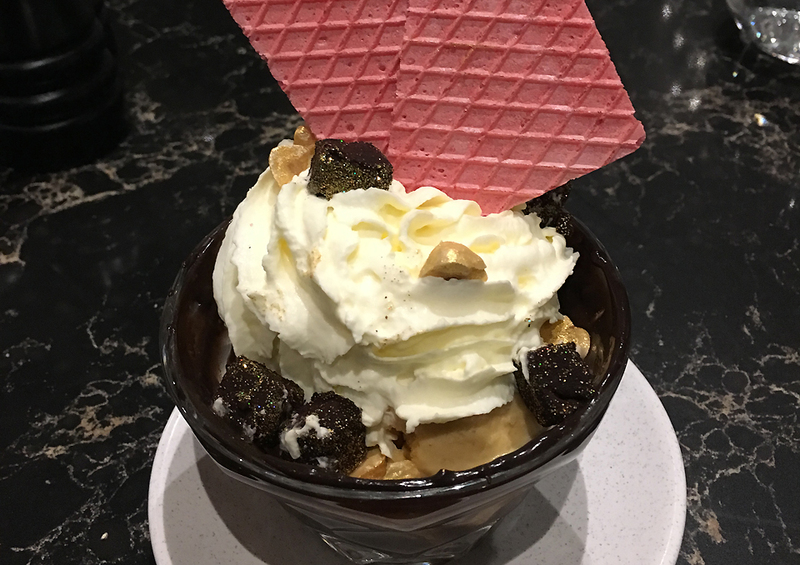 For dessert I tried the Hazelnut Sundae which was a everything that one could hope for in a cool dessert. 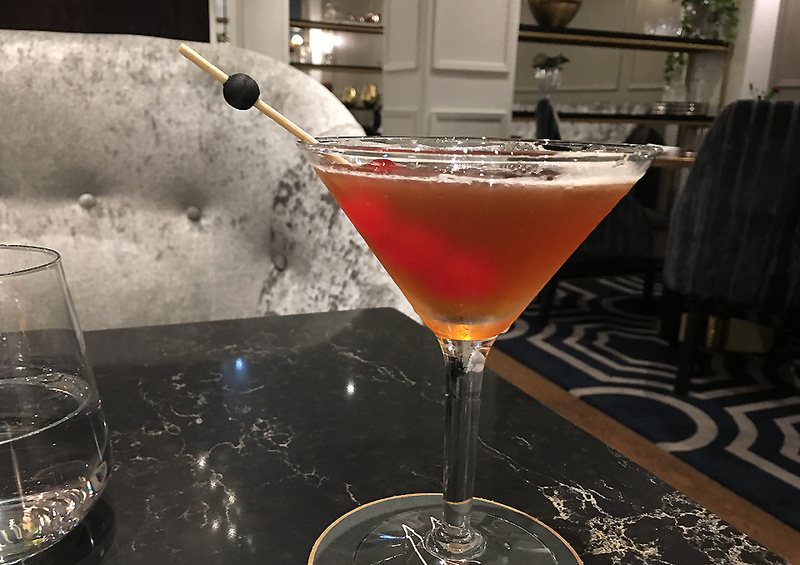 Before my dinner, I had the friendly bartender do me a classic cocktail – The Manhattan. A perfect Manhattan is a great drink to enjoy before a hearty meal and I thoroughly enjoyed the mixology of the bar. 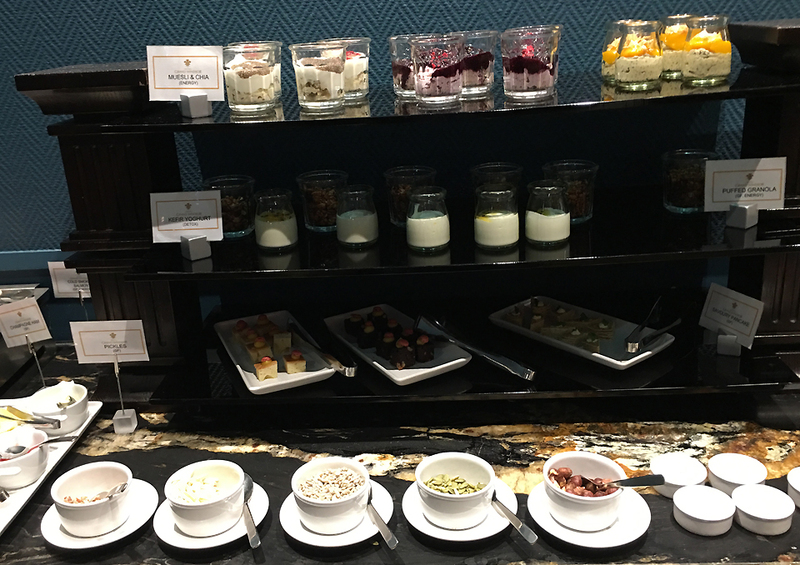 Breakfast is served in room or in Cooke’s where there is a wide variety of breakfast items on display. 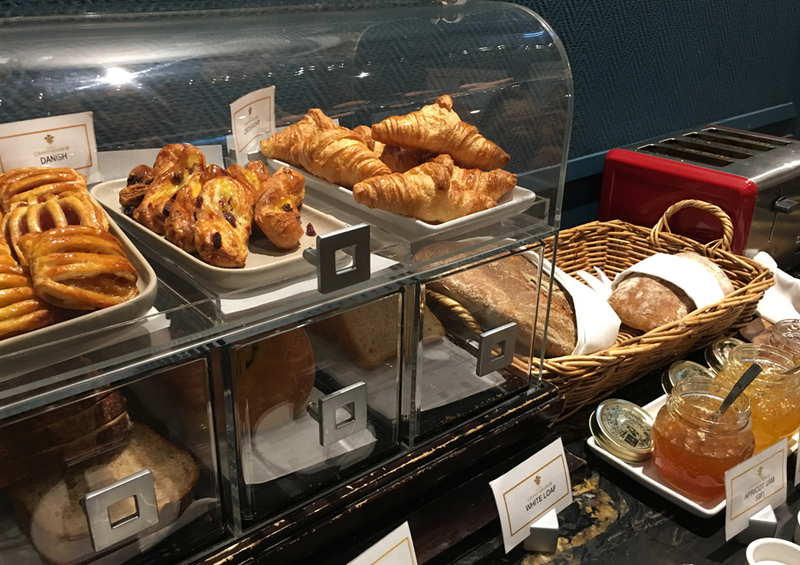 Freshly baked danishes, breads and croissants are also available for selection. 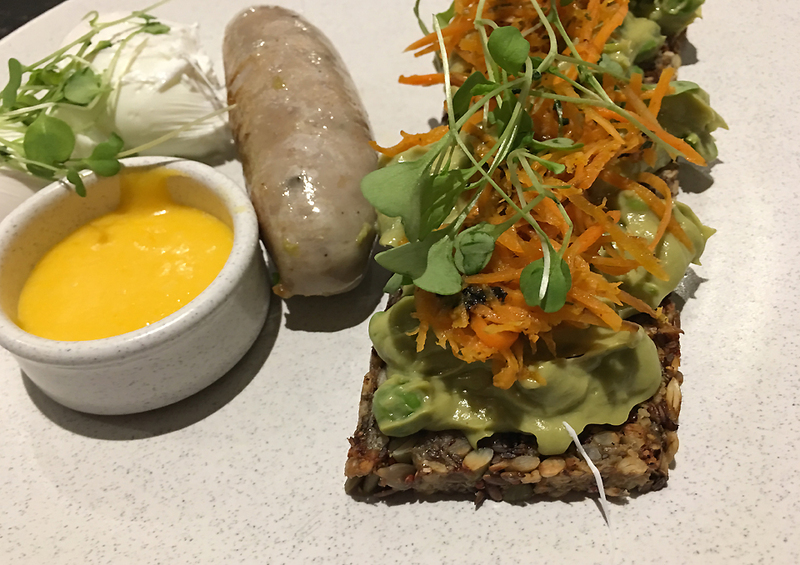 Hot selection can be ordered from the breakfast menu which offers a wide variety of selections with healthy options to choose from – like this freshly baked seed bread with avocado mash and fresh carrots. 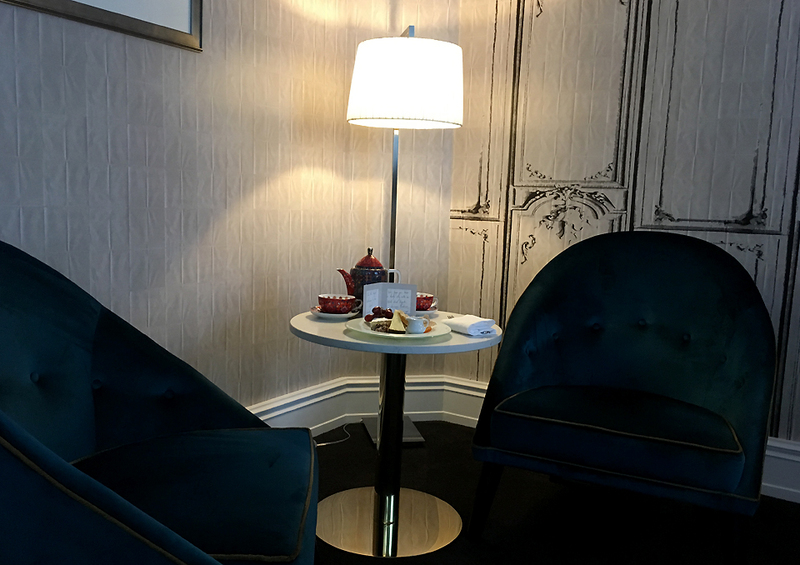 If your search in Auckland is to experience a boutique luxury 5-star hotel in the middle of Auckland, then your search ends at the Grand Windsor Hotel. It’s got everything that you’d want from a plush, modern hotel with all the bells and whistles. What you won’t find in this hotel is hurried, commercial style service but a chance to absorb your surroundings, feel at home away from home and enjoy what it takes to relax and rejoice. 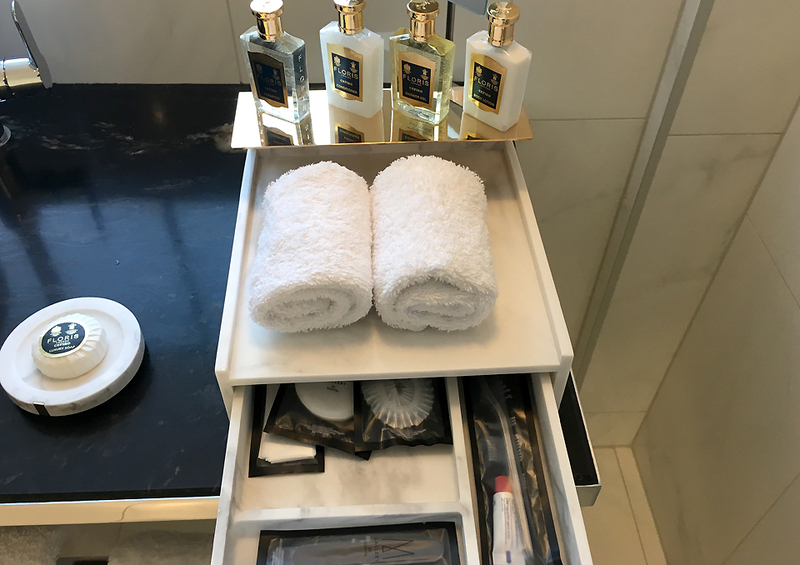 Whether it’s work or pleasure that brings you to Auckland, personalised service, great quality and value for money is what the Grand Windsor Hotel has to offer.